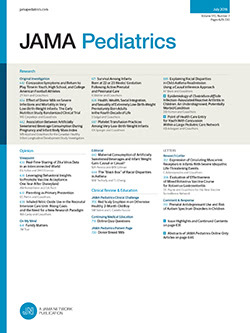 • Three years after receiving rubella vaccine, 1,060 elementary school children living on the island of Maui, Hawaii, were revaccinated with either HPV-77 DE-5 or RA 27/3 rubella vaccine given subcutaneously or intranasally in order to compare the effectiveness of these two vaccines in raising antibody titers. RA 27/3 was the more effective booster vaccine, producing fourfold or greater titer rises in 20.1% of recipients, including 80% of children with hemagglutinationinhibiting antibody titers ≤ 1:40 at the time of revaccination. Intranasal revaccination was not significantly more effective than subcutaneous revaccination, although it did elicit higher titers in children who responded. Responses differed according to the vaccine that children had received three years earlier. Because antibody titers have persisted in vaccinated children, routine administration of a second dose of rubella vaccine is not currently recommended.